Tom is the Founder of the Virtual World Society and currently serves as Chairman of the Board of Directors. He is a Professor and International Director of the Human Interface Technology Laboratory at the University of Washington, University of Canterbury (New Zealand) and University of Tasmania (Australia). His career spans 52 years of working on virtual reality and associated technologies. Christopher Stapleton, VWS Co-founder & President of Simiosys, converges the next-generation of technology, techniques and talent to melt the boundaries between compelling reality and the infinite imagination using the emerging conventions of Virtual Worlds. His background is designing and producing for mega theme parks, film, television and the Broadway stage. He has served on the faculty of Technical University of Munich, University of Central Florida, University of Rochester. With degrees in both art and computer science, Dr. Morie has 25 years experience in developing innovative techniques for rich, emotionally evocative virtual reality (VR) environments. Dr. Morie spent 13 years as a Sr. Research Scientist at USC’s Institute for Creative Technologies (ICT), which she helped found. While there, she created novel VR telehealth care activities using her deep understanding of art, computer animation and human behavior to enhance patient engagement with these programs. Linda loves tackling practical problems with XR. Solutions that improve health and wellness, especially in eldercare, are her primary focus as a business developer, producer, and writer. Currently Linda leads an enterprise XR development team and manages immersive software projects. Mission possible: let’s use XR to transform the experience and perception of aging! Mark Billinghurst is Professor of Human Computer Interaction at the University of South Australia in Adelaide, Australia, and Chief Scientist of Super Ventures. He earned a PhD in 2002 from the University of Washington and researches innovative computer interfaces that explore how virtual and real worlds can be merged, publishing over 300 papers in topics such as wearable computing, Augmented Reality and mobile interfaces. Brenda Laurel has worked as a designer and researcher in interactive media since 1976, from Atari to Apple to Art Center College of Design and California College of the Arts, and now as Principal of Neogaian Interactive. She co-designed and produced the ground-breaking VR piece, Placeholder (1993) and founded Purple Moon (games for girls) in 1996. In 2015 she received the Trailblazer Award from Indiecade and was awarded the Nextant Prize from the Virtual World Society in 2016. Trond works at the intersection of AR / VR, games, education, and medicine, starting in 2003 at the HITLab NZ. Today, he is Director of Development at Virtual Therapeutics, a company exploring how to use VR for therapy. Trond is a strong believer in the power of hackathons and other events that encourage people to get their hands dirty building things in Virtual Worlds, and has helped organized over 10 events in Seattle and around the world. Alison is co-founder and inclusion advocate at Digital Raign. She is a connector, facilitator, and serial entrepreneur with more than 25 years of experience. She is a Board member for The Virtual World Society and served on the Wisdom 2.0 early development team. Her current focus is on diversity/inclusion, socially conscious business, and research on augmented mindfulness through emergent tech. Alison regularly donates her time to a number of volunteer organizations such as Emerging Women, It’s Time Network, ARVR Women among others. Craig gives back through involvement with non-profits, focused especially to education. He helped return a failing school to profitability while ensuring a diverse student body plus succeeded with a major capital campaign in the months following 9/11. Craig provides strategy, finance, and marketing expertise for consumer-facing technology companies, with a focus on VR/AR, AI, and mobile. Customers include Razer and leading companies in VR. Eva has been working in VR for 3 years as a design researcher and community builder, and now deep into exploring how the brain works so she can better understand how we can ethically design for virtual reality experiences. While the technology is growing increasingly impressive, Eva wants to make sure that we put humans first, tech second. Eva is most drawn to VR because no one knows what they're doing, and that's exciting because we can all come together to make history. Stacy is a Washington, DC based actor/producer, biz dev guru, former international development worker and proud mother of two awesome teenage boys, Tamer and Emilio. Stacy holds a Master's in Public Administration from the Middleberry Institute of International Studies in Monterey and a Bachelor's Degree in Anthropology from the George Washington University. She is fascinated with how emerging technologies can be used to make this world a better place. James is a cultural strategist and organizer specializing in cross sector collaboration. he brings 20+ years in management roles across enterprise technology and creative community. Today, James explores the edges of developments in Silicon Valley, from sustainability, to social justice, social media to conscious evolution, and now into the frontiers of emerging technology. Gia brings great amount of industry experience having led some of the most exciting cross-enterprise initiatives for Bank of America and GE Software, while keeping up with newest technologies and trends. She is a proud VWS ambassador and is behind the VR for Education Summit ImmerED2018 to take place in Los Angeles, CA. Gia has truly found her passion in promoting VR for the betterment of humanity. Matt is a graduate in Mechanical Engineering from the University of Washington. 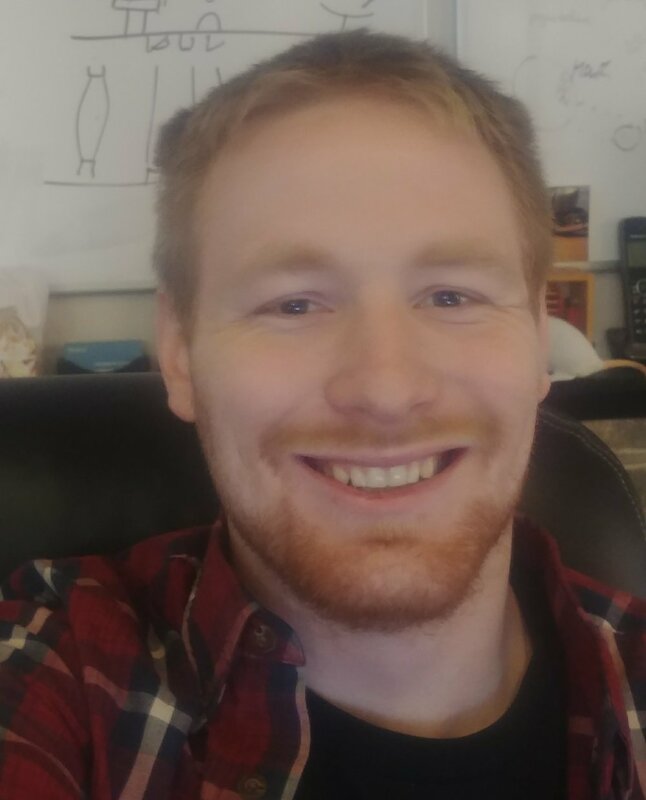 Currently he works as a Project Engineer at RATLab LLC, where he applies his engineering background as well as his experience developing VR content to contribute to different research projects. Matt lead volunteers in teaching students at Robert Eagle Staff Middle School to develop their own STEM-based educational VR experiences. Today he continues his work in education by building a VR curriculum.